Gone Hunting!! Tell everyone where you are or where you wish you could be! 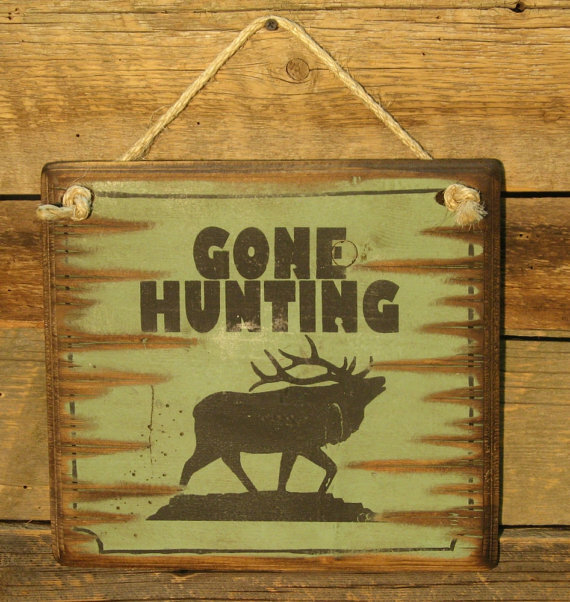 This 12×12 green backgound sign comes with the grass rope hanger for easy hanging. Handcrafted with pride! !